Adults - $69.00 includes all materials and hearty snacks. It’s your year to get things done! Cynthia Wallesz will guide you through exercises to clarify and organize the personal and professional goals you want to accomplish this year. You’ll map your detailed plan on a calendar using proven time management techniques that help countless people live the life they dream. The workshop includes access to a private online Facebook group to keep your momentum going throughout the year. 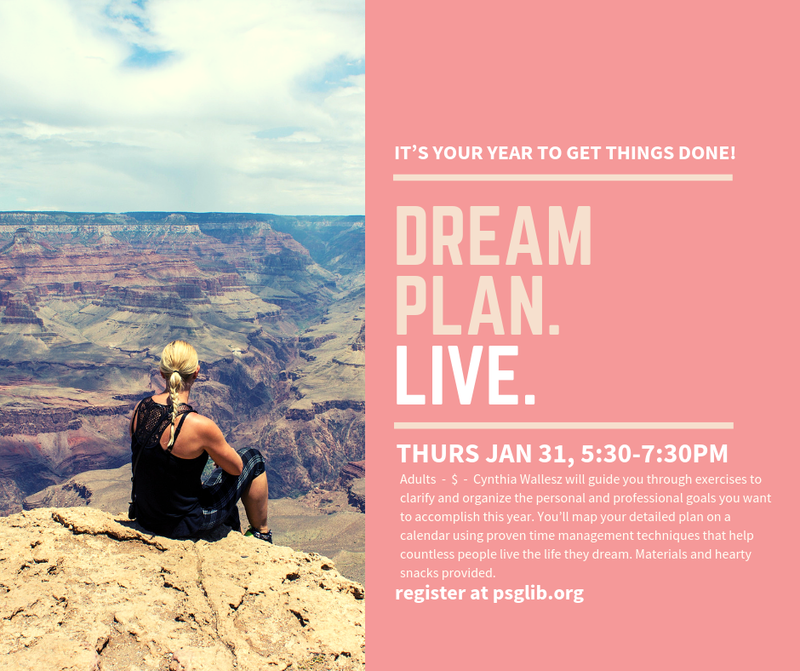 If you just can’t seem to get things done, this workshop will help you DREAM.PLAN.LIVE. the life you envision.